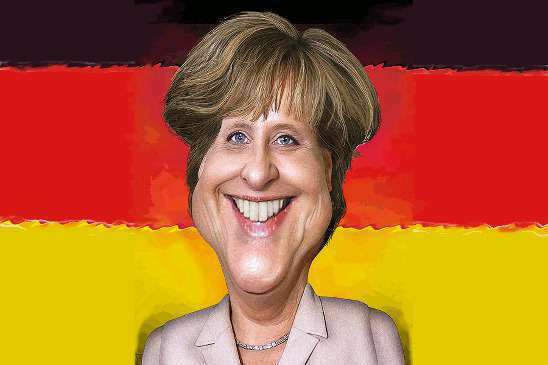 Merkel implies Germany to invade France. (SNN) - German lawmakers investigating US surveillance of Angela Merkel’s mobile phone said on Wednesday that they would try to take evidence from NSA whistleblower Edward Snowden. But they ruled out allowing Snowden to travel to Berlin. But new revelations are certain to further flame the tensions between America and one of its longest-running allies. BND, The German intelligence agency, has confirmed that it may now have a leaker of its own. The German newspaper, Der Rierre, on Thursday, printed a transcript of a call made by Chancellor Merkel to an unidentified UN official. Sources in the Merkel administration, who wish to remain anonymous, believe the leaked transcript was forwarded to the newspaper by opposition lawmaker Hans-Christian Andersen. Photo: Some rights reserved by DonkeyHotey flickr photostream, The Sage nor this article endorsed.